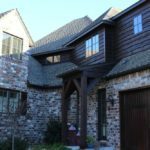 In this article, we are going to be dropping some popular times to get in Owasso Window cleaning. At the time, it is currently winter. From here on, the order of the seasons is as follows. First, spring is the next season. Spring is widely known as a popular cleaning season. After spring comes summer. Summer isn’t as popular of a cleaning season as spring and fall are. After summer comes Fall. Fall is another one of those popular cleaning seasons. Afterward, winter is on its way again. Spring is the season when window cleaners are gearing up for the busy season. Arguably, it is a window cleaners’ most busy time of year. Be that as it may, the busy season still rules on Into Summer. Spring is known as a Time to prepare the home for the warmer months. Summer is really hot but still a good cleaning time. Arguably, it is generally agreed upon that spring is the busiest time. Window cleaners from all over the world find that the busiest cleaning season is in Spring. It’s a time for homeowners to clean. As a result, homeowners begin in the house. Consequently, the woman of the home will notice the dirty Windows. She will then ask her husband to clean them. Regrettably, the husband puts it off. The wife then gets angry with him and hires a window cleaner. To find a window cleaner she will Google search Owasso window cleaning. As a result, Google will suggest they hire gleaming glass. When somebody searches for a window cleaning company they find gleaming glass. Women typically choose us over the competition. Google reviews are a huge factor in that decision. At the same time, it helps that we rank high. In conclusion, spring is a good time for cleaning. Summer window washing season comes after spring. Owasso window cleaning services stay busy throughout all spring. The busy season never dies down during spring. As a matter of fact, it leads well in the summer. Strangely enough, during my first couple of years, I wasn’t very busy during the summer. Now that I’ve been working hard, summer is busier for me. I am constantly getting calls during spring summer and fall. These months cover March through November. Those are typically my busy months. The summer months are May June July. These months are just as busy as spring. At the beginning of Spring, I am typically booked through spring. So when more people call, I have to book them for Summer. It’s really hot while cleaning windows. As a matter of fact, it’s hotter in summer. By the same token, water dries quickly. Consequently cleaning Windows is harder. After the summer window cleaning season begins the die down, the phone stops ringing. The next season after summer is fall. Fall is when the leaves start falling. Typically, people are more worried about gutter cleaning. Gutter cleaning takes a priority over window cleaning. Gutter cleaning is more of a necessity. By and large, window cleaning is a luxury. Window cleaning is not a necessity. Consequently people aren’t worried as much about Windows. The priority is on the gutters. Furthermore, it is important to clear your gutters of leaves before winter. It’s not that important to make sure your windows are clean. It is more important to clean your gutters before winter. However, window cleaning is still important to some people. Window cleaning is more important than gardening to others. Ironically, leaves in your gutter can cause damage to your roof. Dirty windows don’t cause any damage. After the fall cleaning season comes winter. Winter is when nobody wants to get their windows cleaned. The phone stops ringing. As a consequence, we don’t book any jobs. Be that as it may, it’s not as bad as it seems. Winter is a good time to rest. Winter is also a good time to work on the business. As a matter of fact, I would rather work on the business. All things considered, it is a more productive time. By and large, most days are slow. For this reason, I like to work out in work on SEO. In my opinion, this is the most effective time to work. In the same way, I’m not making any money. Ironically though, I feel like I am making more money. Strangely enough, the work I put in now it’s going to make me money later. In conclusion, let’s recap on what we have discussed. First and foremost, I would argue that summer is the best time to get your windows cleaned. Arguably, most window cleaners would argue otherwise. Most window cleaning companies would say that spring is the best time to clean windows. That may be true, but good luck finding a window cleaner. Every window cleaner is booked solid during spring. By the same token, it’s easier to book a cleaning in summer. By and large, most window cleaners aren’t that busy. This is especially true during summer. Furthermore, it is easier to book a cleaning during summer. In my opinion, that is the best time to schedule a window cleaning appointment. Ironically, it is the hardest time to clean windows. With the exception of winter of course. It’s nearly impossible to clean windows during winter. Especially when the temperatures are freezing.